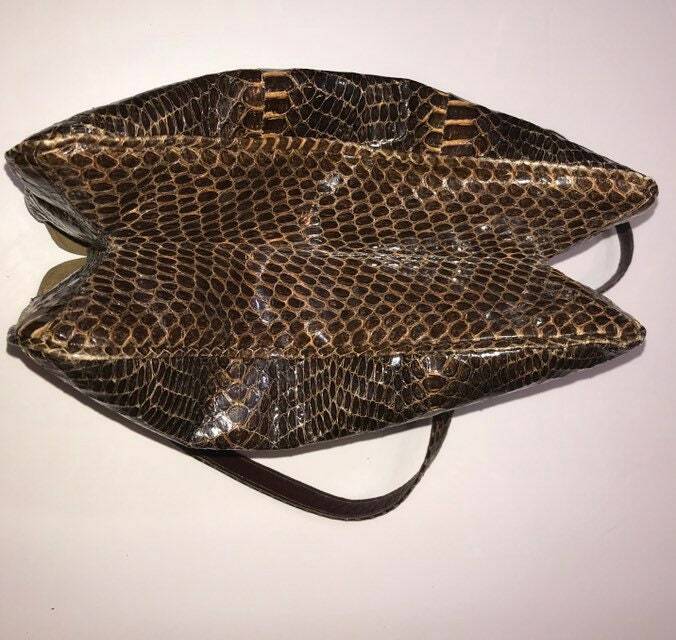 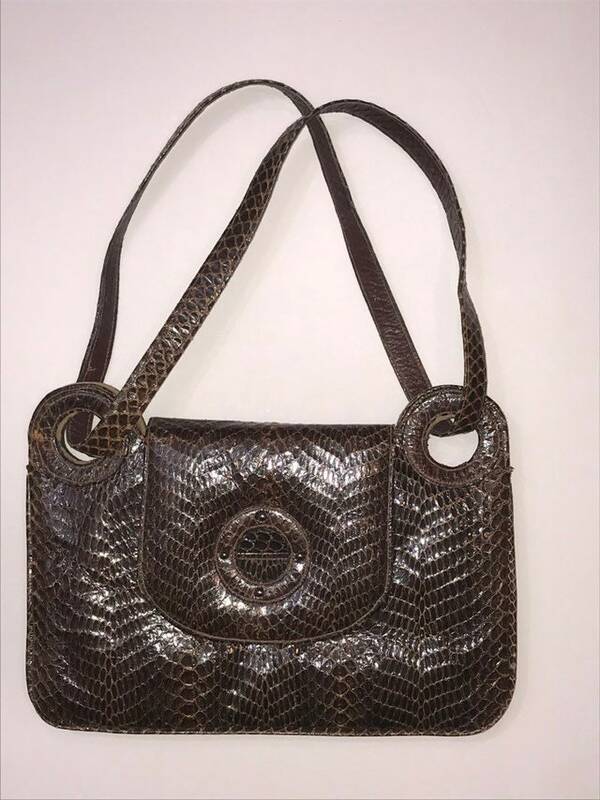 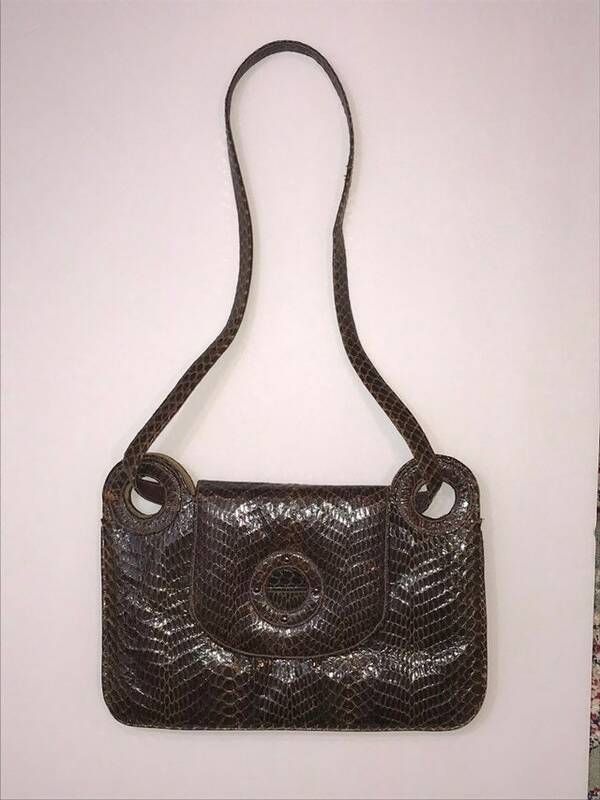 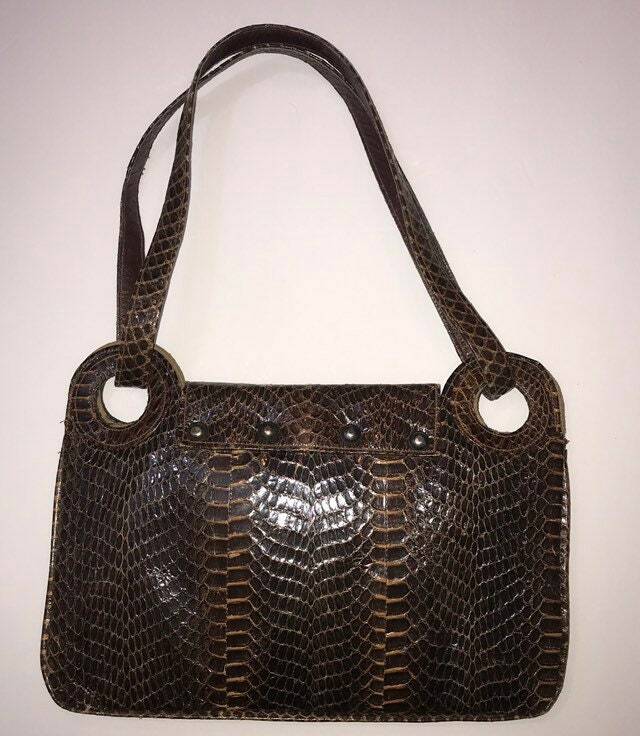 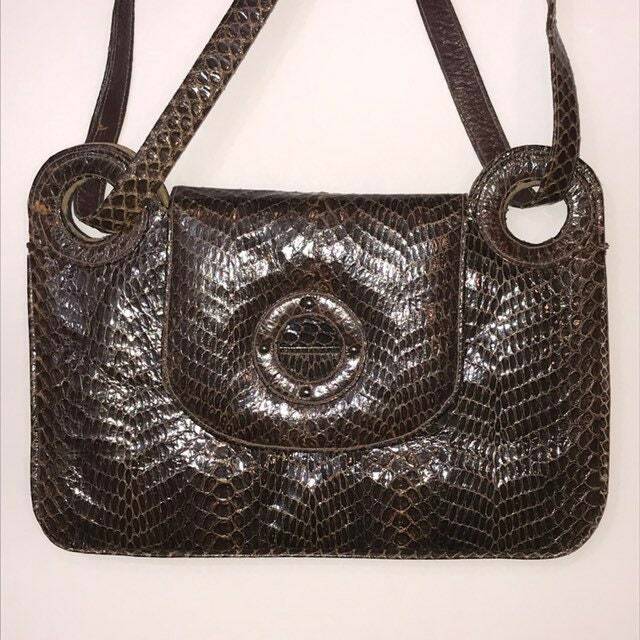 Genuine snakeskin handbag is soft and pliable. 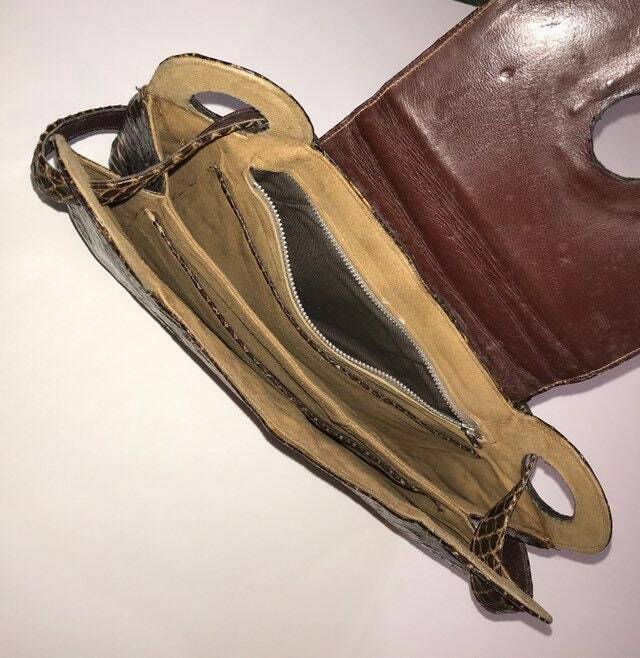 Lined in suede. 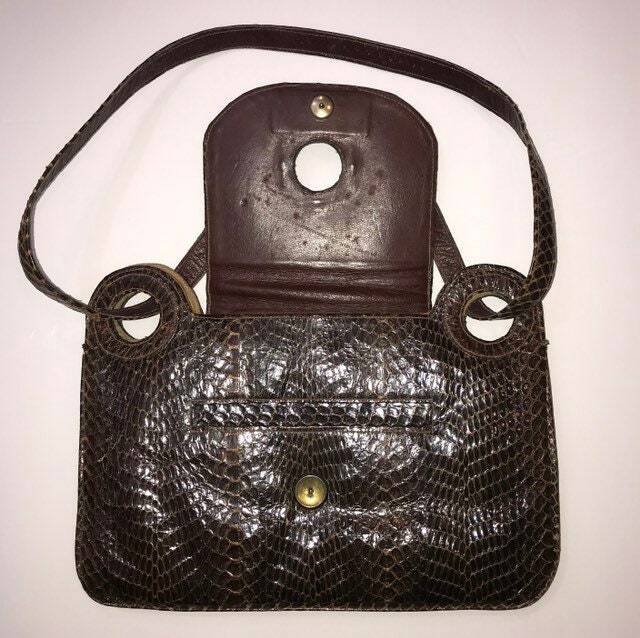 Snap clasp. 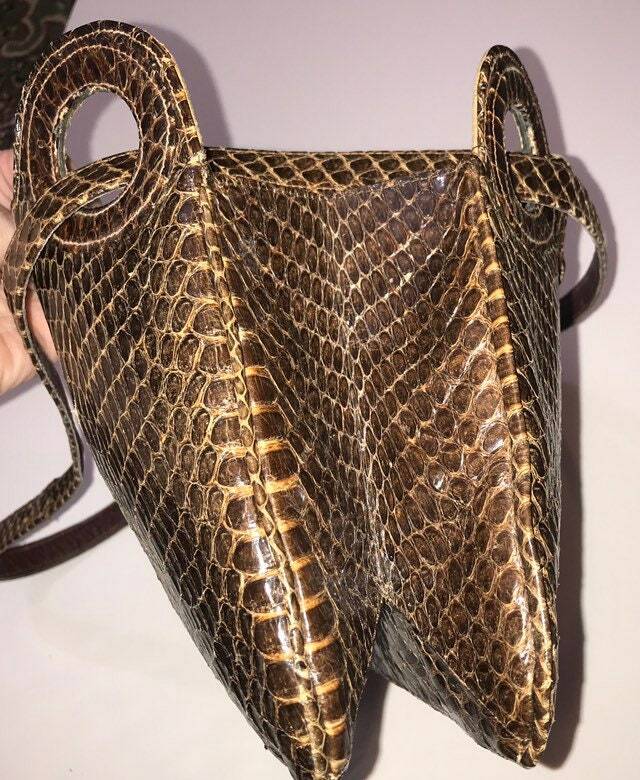 Vintage late 1960's to early 1970's high end handbag. 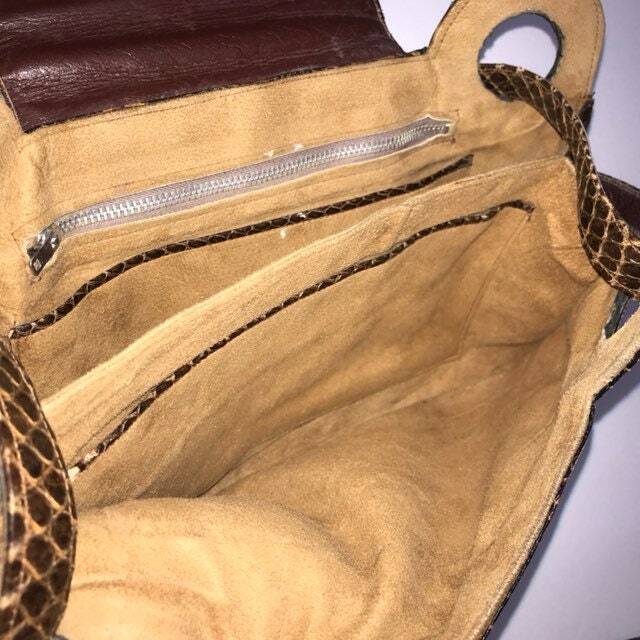 Interior suede compartments are trimmed in snakeskin. 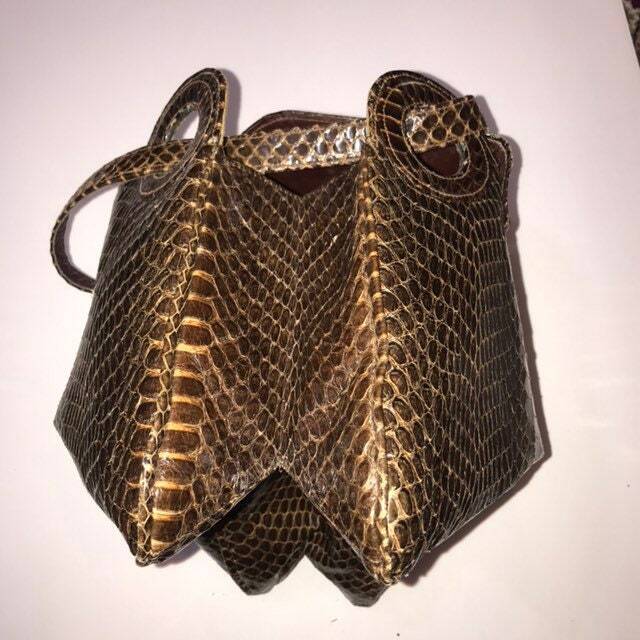 Metal studs show very minor wear - see images.